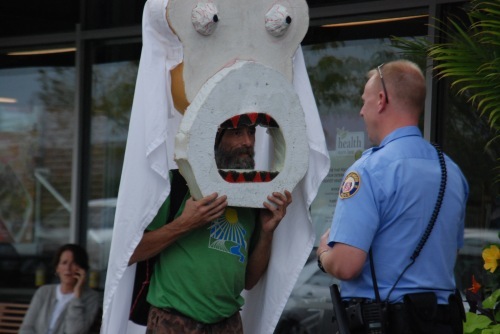 This morning Field Agents from the Occupy Monsanto Genetic Crimes Unit staged a demonstration outside of the Republican Party’s headquarters in Washington, DC. 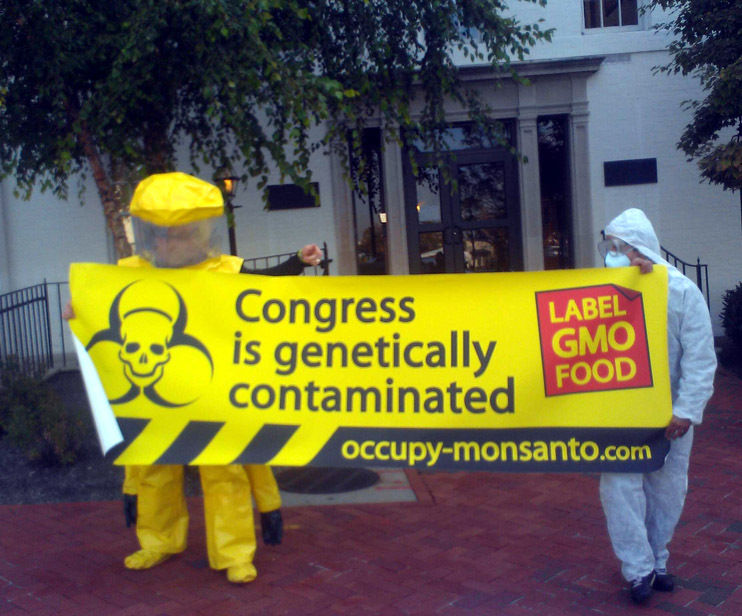 As a part of the Occupy the GMO Candidate national day of action, Field Agents setup outside of the Capitol South Metro Station and greeted Capitol Hill staffers & Republican Party operatives as they arrived for work. 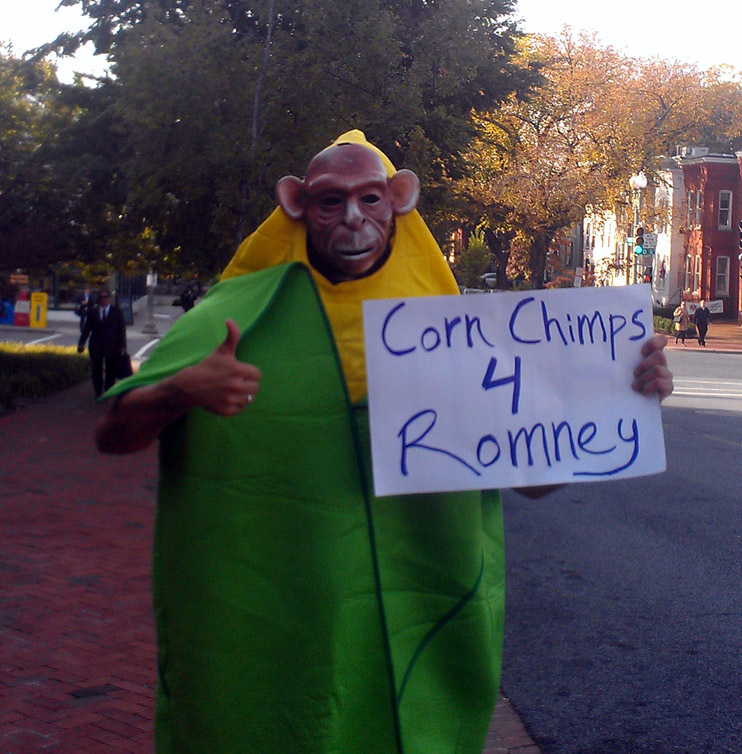 Many people gave thumbs up in approval and quite a few people laughed at the Corn Chimp’s street theater. 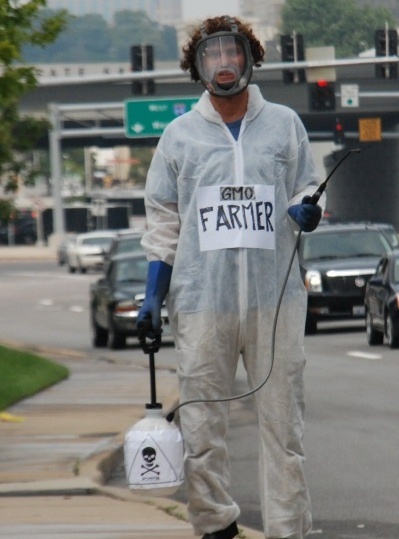 Field Agents held up signs & banners, mic-checked Romney for his ties to Monsanto, and asked staffers why Romney chooses to only eat organic food. Throughout the demonstration there was an undercover police officer sitting in an unmarked car across the street monitoring the demonstration. 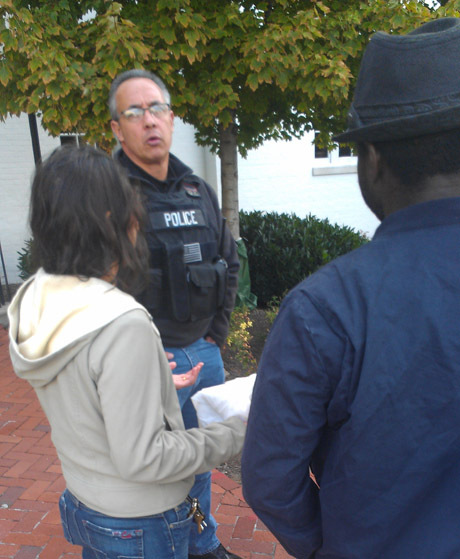 At around 9:30AM when Field Agents concluded the demonstration and began to take off their costumes, the officer came up to the group and thanked us for our spirited activism. What he said next was rather shocking: he said he used for work for the USDA in the 1990s and that employees worked tirelessly to prevent GMOs from going into the American food supply. Later today Field Agents will be heading to Democratic Party headquarters to ask why Obama has failed to fulfill his campaign promise to label GMO foods & why he appointed Monsanto lobbyist Michael Taylor to the second highest position at the FDA. More photos & videos to be added soon! 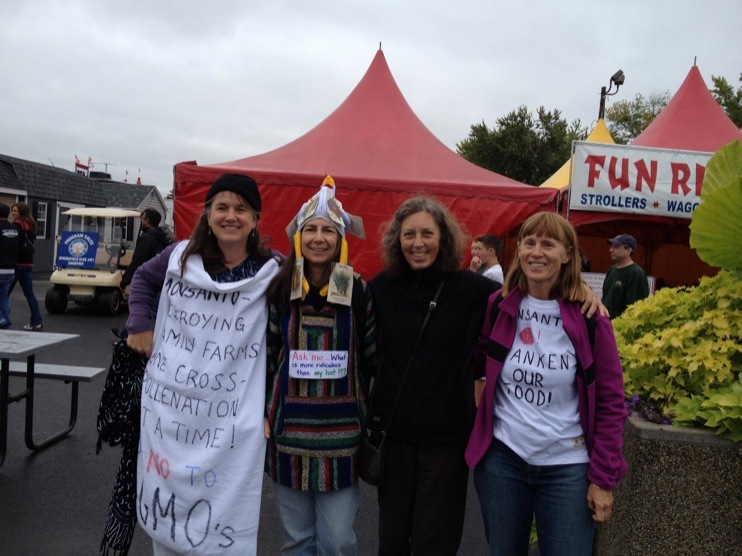 So here’s a little bit about yesterday’s action at the Big E’s Monsanto exhibit. What a wonderful day I shared with Nancy, Catherine and Trish. We roamed the fair, a pack of 4 committed women, looking forward to getting into the exhibit and raising a bit of a bother with questions and conversation. We wanted to wait until there were other people in line for the “tour” otherwise we’d be talking to ourselves and that we can do anytime! While waiting for a good time to see the exhibit, we walked around the fair and got to know each other. Trish and Catherine came from up north and a bit of conversation sealed the deal on identifying with each other as sister activists for the cause. 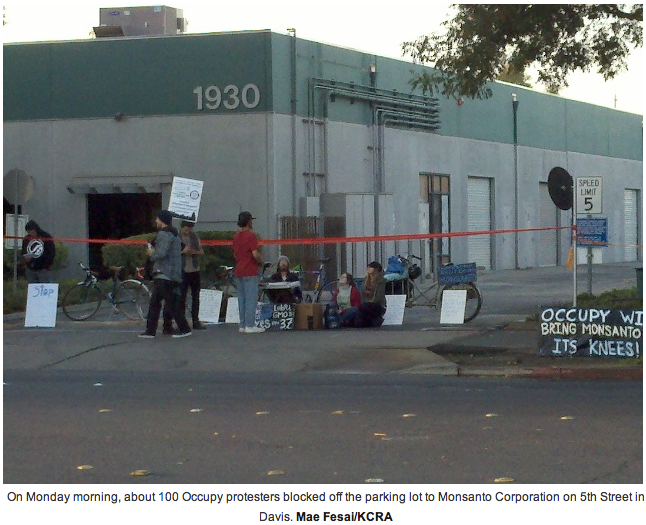 About 100 Occupy protesters blocked off the parking lot to Monsanto Corporation in Davis in an effort to shut down the chemical giant. Members of the Occupy movement said they planned to mark the first year of the movement with more demonstration. 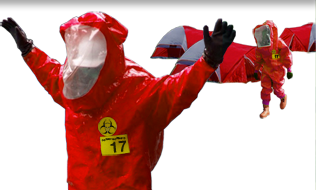 The protest, organized by Occupy Sacramento, Woodland and Davis groups, is one of nearly 100 demonstrations planned across the world in protest of the chemicals and mass pollution. 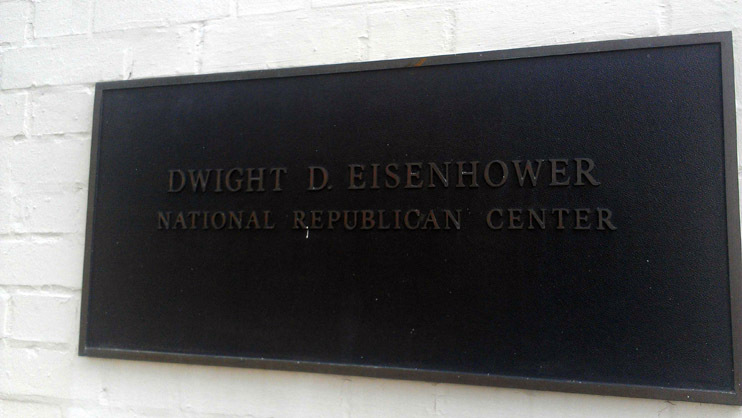 It also marks one year of the movement. 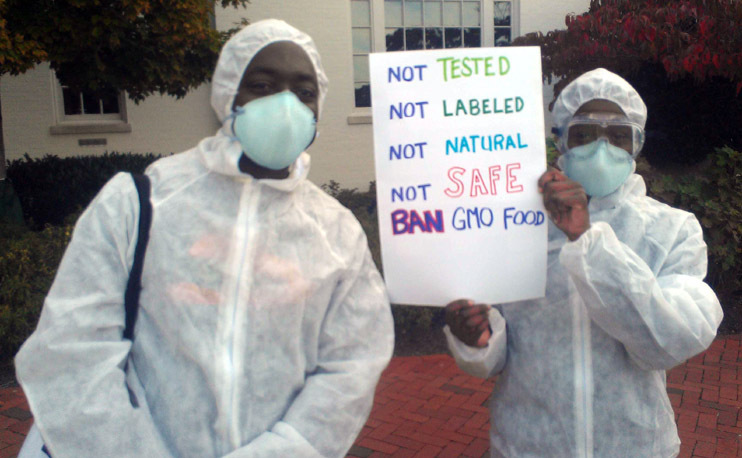 Protesters carried signs, wore bio-hazard suits, and chanted “No GMO’s”, referring to genetically modified organisms. 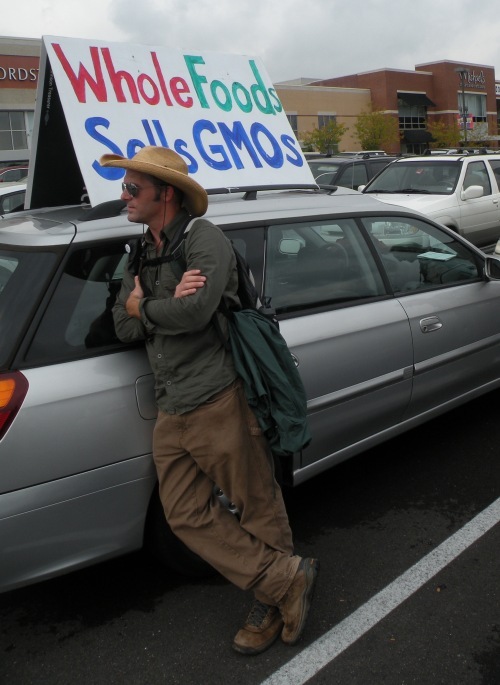 Occupy held a similar protest at Monsanto in March. Davis police said they have brought in additional officers and have a contingency plan in place in case the protest escalates. DAVIS About 60 Occupy Sacramento, Woodland and Davis protesters gathered at the Monsanto Davis plant Monday morning to protest against the company exactly one year after the Occupy Movement began. 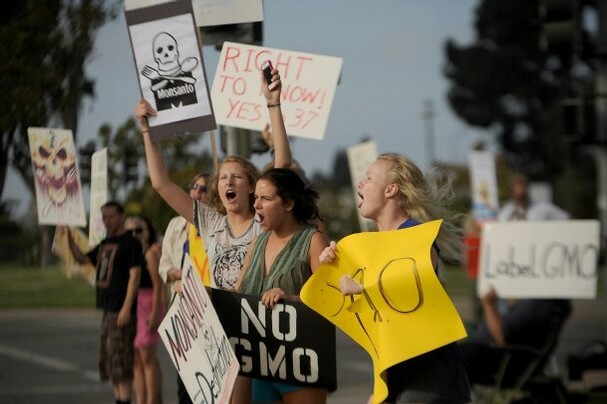 Monsanto is the leading producer of genetically engineered seeds and the protesters hope to let executives know they strongly oppose genetically modified food. They also hope to show support for Proposition 37, an initiative on the November 6th ballot that would require genetically modified foods to be labeled. 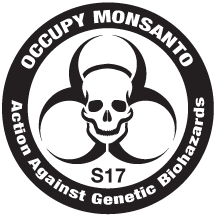 Davis Police are not saying if they will arrest people if Monsanto files a complaint, but say they will assess the situation and bring out more officers if necessary. 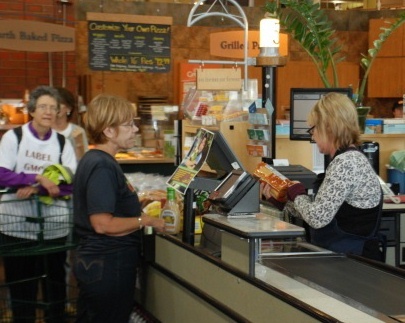 Approximately 200 people are expected to show up Monday at Monsanto located at 1920 5th Street.